How many times have you seen a natural black sand beach? And how many times have you traveled to a destination where you can see a volcano at almost all times? Have you been lucky enough to try typical local food in utterly traditional restaurants? 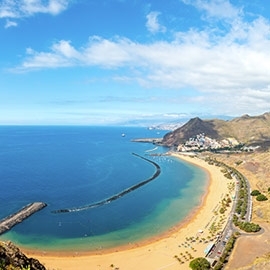 Learning Spanish in Tenerife is the way to have all this and much more at your fingertips. From the time you wake up to the moment you go to bed, you'll have so many things to do and discover that you'll want to add extra days to your trip. Study Spanish in Tenerife and spend your free time climbing to the top of Mount Teide, discovering Wind Cave, eating at a guachinche, watching the sunset at the Teno lighthouse, or swimming on the impressive Costa de los Gigantes with views of the cliffs. Our Spanish school in Tenerife will make you feel at home, ready to be seduced by an island sure to win your heart the day you arrive. Plus, the unique local accent will make you even more interested in Spanish. Our Spanish school in Tenerife is housed in a traditional Canarian-style building, complete with a round central patio filled with plants and benches — a beautiful place to step outside during breaks. The patio has the added benefit of letting the island sunshine into the classrooms, where you'll be learning Spanish alongside other international students. 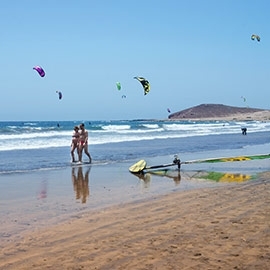 Our location right in the heart of Puerto de la Cruz puts you just a few steps from the black volcanic sands of Martianez Beach and a 2-minute walk from Lago Martiánez, a beautiful and very popular shopping complex. We make it easy to strike the perfect balance between study and leisure in a spectacular natural environment. 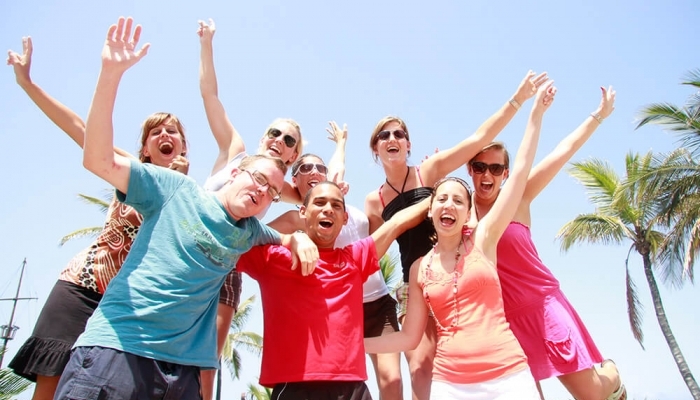 Our Spanish classes in Tenerife are one of the shortcuts to learning Spanish that our students have found. With each class you'll aquire new strategies and abilities tat will help you communicate in Spanish when you leave the classroom. Thanks to our teachers, you'll fully understand what the Spanish world is all about. 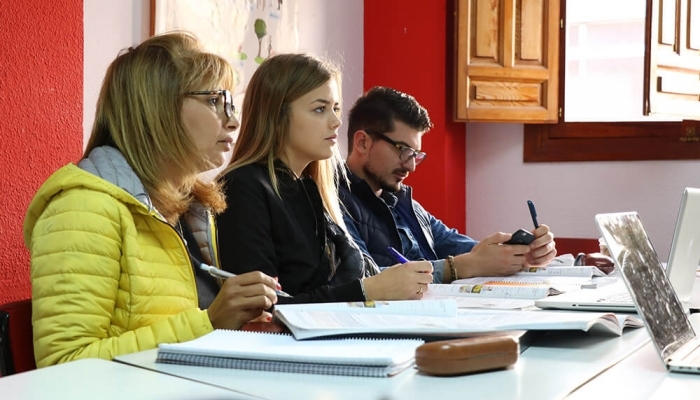 To get you there, you have all the Spanish classes in Tenerife you could need: preparation courses for offical exams, private or semi-private lessons, intensive courses, and more. At don Quijote we have a course to meet every need. Plunge into the culture of Tenerife and choose between two different accommodation options, both designed to help you feel right at home. 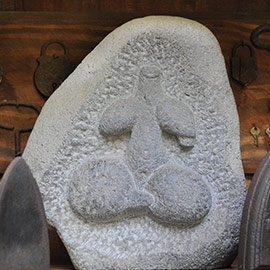 Stay with one of our host families and dive into the local culture intensively. 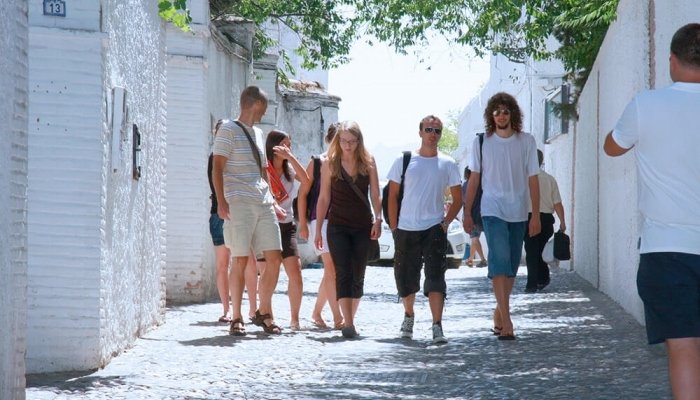 Or, stay in a shared apartment and live with other international students while enjoying the island life together. Traveling to Tenerife is like experiencing all four seasons in one day. Each area of the island has its own climate. 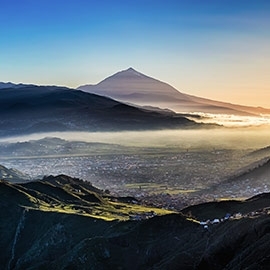 That's why studying Spanish in Tenerife means you'll have new experiences every day as you discover the different cultures surrounding Mount Teide. Make friends anywhere on the island, and you'll be able to visit them in under an hour. 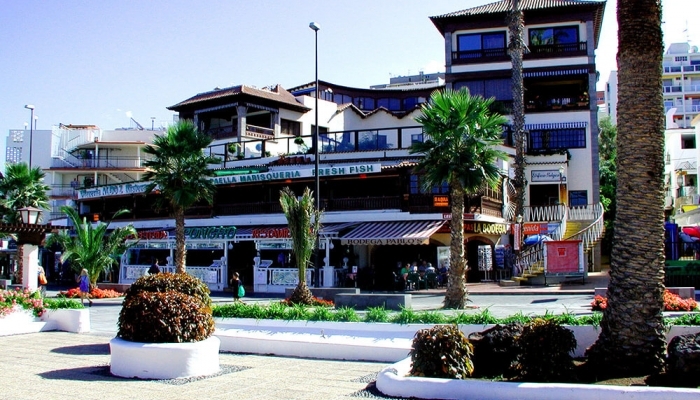 Learn Spanish in Tenerife and don't miss out on any of the many things it has to offer. The great wonder of Tenerife is its nature, it is the Teide. This dormant volcano is a magical place that transports us to an almost prehistoric and purer world. The park covers 190 sq. km and includes the volcano and the surroundings. It is both a Unesco World Heritage Site and Spain’s most popular national park. Spectacular views, hiking trails through volcanic terrain... it is a magical place to visit. 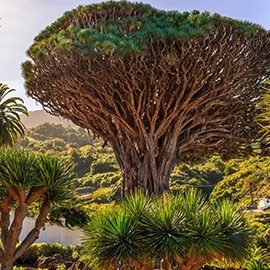 Tenerife is one area of Spain that flies in the face of Spanish stereotypes. The island is awash in mix of cultures, cuisines, and ways of life. From north to south and east to west, any route is a great way to discover its many charms. After your Spanish classes in Tenerife, choose any of the many events organized all over the island and see for yourself what it means to have the opportunity to be in Tenerife.